Aligning IT with your business strategy, and business with your IT strategy. 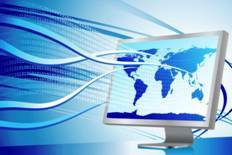 The challenge: Today most organisations are critically dependent on their IT systems. For many the technology is so pervasive that it’s difficult to think about business strategy without considering the IT implications – but many do! Equally, many IT functions are so focused on delivering today’s IT services that they lack both the capacity and capabilities needed to ensure that the strategy for the IT landscape – covering IT applications and infrastructure – is aligned with the aspirations of their business colleagues. Our point of view: If IT waits for the business to define its strategy and then tries to respond, it will fail. IT leaders need to be proactive in engaging with their business colleagues, seeding ideas on the possibilities that new digital technologies offer and the constraints and risks that legacy applications and infrastructure bring. For IT to be ready for the challenges it faces today – and will continue to face in the future – the divide between IT and the business needs to be bridged in ways that lead to convergence of thinking and action. Our experience: We have assessed the alignment of many IT organisations with respect to their ability to meet the needs of the businesses they serve. We have also helped IT leadership teams transform their delivery model and develop the capabilities needed for a future-proofed IT organisation. Equally, we have helped business executives rethink their approach to strategy development and transformed their relationship with IT. What Can Leaders of Change Learn from World-Class Performers? 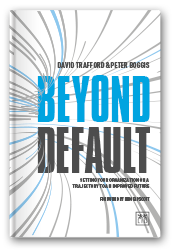 Beyond Default was published on 7 September 2017 by LID Publishing and can be ordered on Amazon. © 2018 Formicio. All rights reserved.